The Internet of Things, or IoT, might be one of the most used “buzz” words in the business world nowadays; but how did it become so well-known and why is it so important? IoT refers to the use of sensors and information technology to develop a better understanding of our world and enable applications that improve people’s everyday lives, dramatically. The list of possible scenarios is vast and affects most industries. For example: In healthcare, IoT technology can enable the detection of strokes or heart attacks before they happen; in mobility, we see the rise of autonomous cars and in agriculture significantly more productive harvests can be achieved. So what is Industrial IoT? Whereas IoT describes the application of IoT technology in different areas (home, agriculture, mobility, construction, etc. ), the Industrial IoT (IIoT) relates particularly to its application in manufacturing and logistics. It is capable of increasing productivity of almost every process along a company’s value chain, as well as increasing product quality. This is achieved by, first, building digital representations of processes to understand what is happening; second, is to learn from those findings; last, is to provide either an automated or worker administered functionality to improve the respective process. What are concrete use cases and why to invest in IIoT? Building a digital representation can mean retrofitting existing machines on the shop floor with additional sensors. These sensors then collect data related to the machine’s operations, learn from that data and predict any potential failures of that machine in the future. At Bosch, we have done that in many areas - one example is from a machine that relies very heavily on good oil quality. By attaching sensors that analyze contamination percentages of the oil and attaching sensors that identify the blockage degree through pressure tracking of filters, the team was able to improve machine uptime, as well as product quality, significantly. In fact, they reduced maintenance cost by 25%, complexity for manual testing by 20% and achieved an ROI of less than 1,5 years. This demonstrates how quickly use cases as simple as retrofitting older machines with sensors can benefit your company. Another example is logistics - where the use of sensors and collection of data allows for a recording of a digital travel diary. This diary may contain useful data like location, temperatures, vibrations or humidity. This way, the supply chain becomes transparent, inefficiencies or quality issues are traceable and production can be aligned to the exact time of arrivals. This in turn leads to clear accountability and less downtime due to missing production parts. The examples above are only two of the numerous use cases in the IIoT. Many more can be found along the entire value chain-- from autonomous milk run vehicles, to smart supermarkets over AR/VR guided commissioning processes. How the Chicago Connectory supports IIoT development? The Chicago Connectory is an innovation space dedicated completely to the Internet of Things (IoT) by Bosch in North America and 1871. With its range of corporate partners and IoT startup members, the Chicago Connectory can expose your company to large networks across different industries. 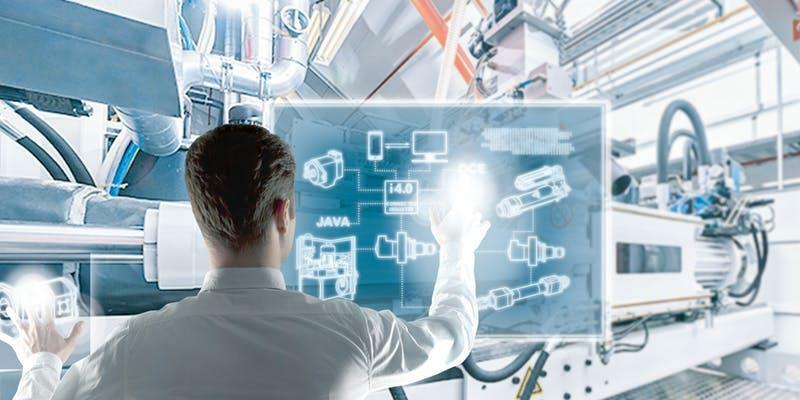 A member of one of these networks is Bosch Rexroth, a leader in Industrial IoT Manufacturing knowledge providing Industrial IoT Roadmap Development and consulting services. If you want to learn more about how your company can benefit from working with the Chicago Connectory, visitwww.chicagoconnectory.com. Plan to join the Chicago Connectory and IMEC at the upcoming Industrial IoT ecosystem meet-up event on October 11th.